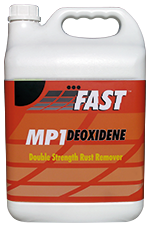 FAST MP1 DEOXIDENE is a double strength rust remover that cleans, de-rusts and phosphates metal. FAST MP1 DEOXIDENE can be used on all metal articles, tools of all kinds, guns, fishing tackle, golf clubs, metal screens, sinks, etc. 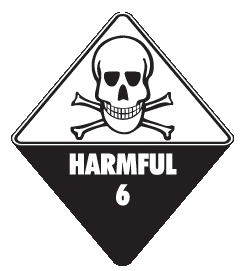 Retards further rusting, which prolongs metal life. 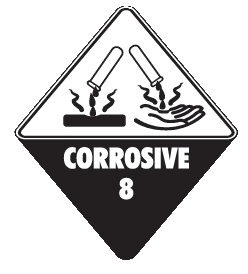 Prepares surface for paint, by providing a bond between metal surfaces and the paint.